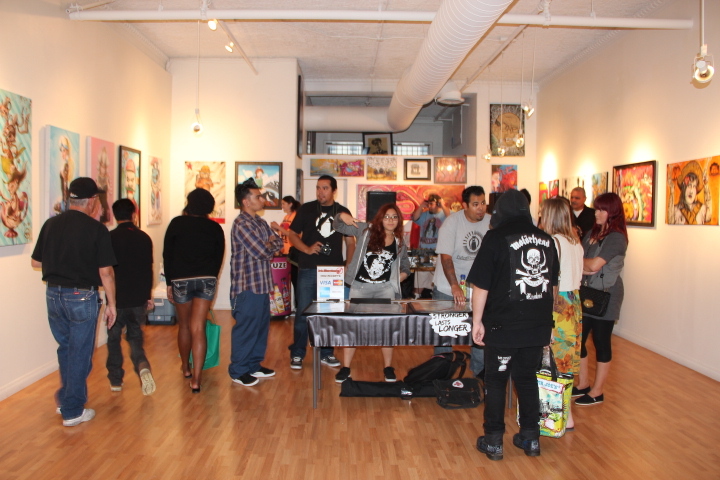 The Ink Bombers crew came out and set up their art show here for June’s art walk. Using a variety of styles and mediums including airbrush, acrylic and spray paint, the Ink Bombers made a very deep impression on the Downtown Santa Ana crowd. FUZE drinks was also on hand to give out a bunch of treats and their refreshing beverages to the crowd. Thanks again to AR, Charlie, RASK, Izzy and the rest of the guys at Ink Bombers that made the show great. This was thier first time here but undoubtedly, this will not be thier last. 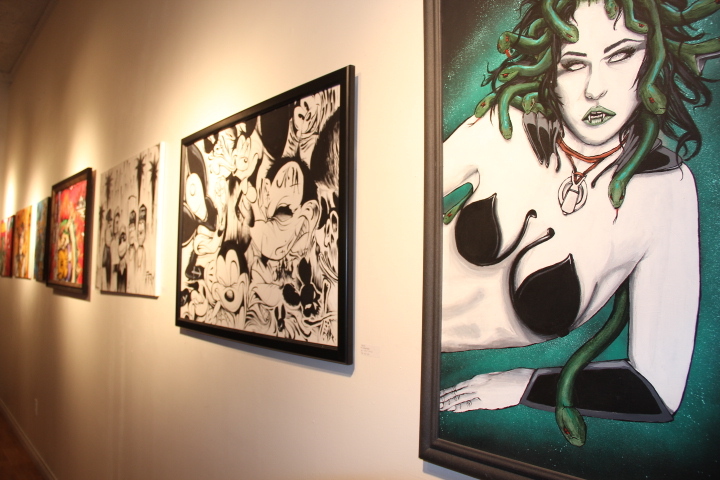 This doesn’t happen every month but July brings two art shows to our gallery space. 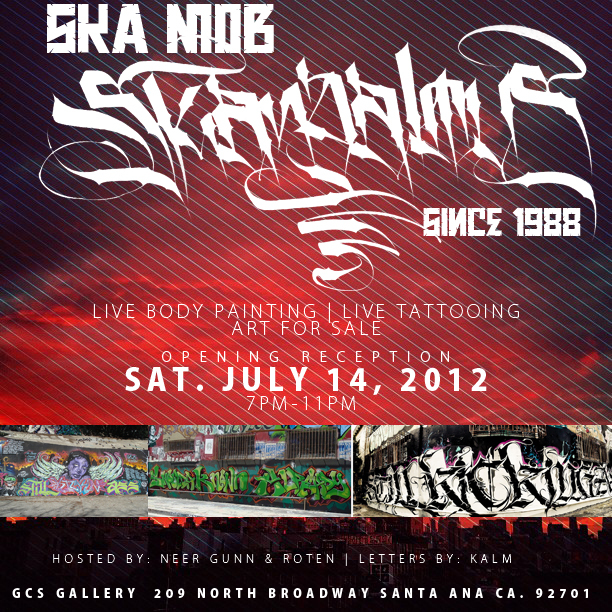 SKA crew’s “Skandalous” hits our space the week following July’s art walk. A night of new art work, live painting and a few tattoo expositions, this special event is hosted by NEER GUNN and ROTEN. So come on down for the special event, they don’t happen everyday!